On Saturday night, a clash between former UFC veterans saw Artem Lobov defeat Mississippi native Jason Knight by unanimous decision (48-47 X 2, 48-46) to win the main event of “BKFC 5” on Saturday night at the Mississippi Coast Coliseum in Biloxi, Miss.. The win by Lobov sets the stage for a potential showdown with former two division world champion Paulie Malignaggi, who also signed on with Bare Knuckle Fighting Championship. 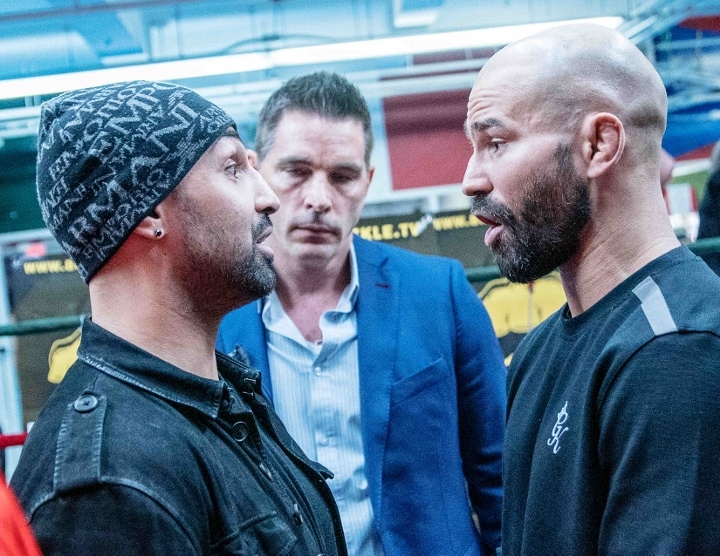 Earlier this week, the two fighters had a face to face confrontation at a media event – which resulted in a war of words and Malignaggi slapping Lobov across the face before a scuffle broke out. Lobov, who is very close friend and sparring partner of Malignaggi’s heated rival Conor McGregor, plans to do a lot of damage to the retire boxer when they face each other. “Malignaggi is a little p*ssy who plucks his eyebrows. I’m going to spark him. I’m a real fighter and I’m going to fight Paulie in a real fight. I want to make money for it. He knows I’m down. If you’re a real fighter, let’s fight in the ring,” Lobov said.